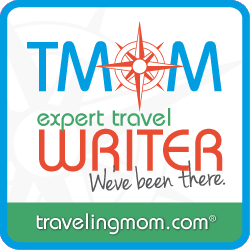 I got a question from a friend about Iguazu Falls and realized I had yet to share my thoughts about navigating Iguazu Falls with kids. 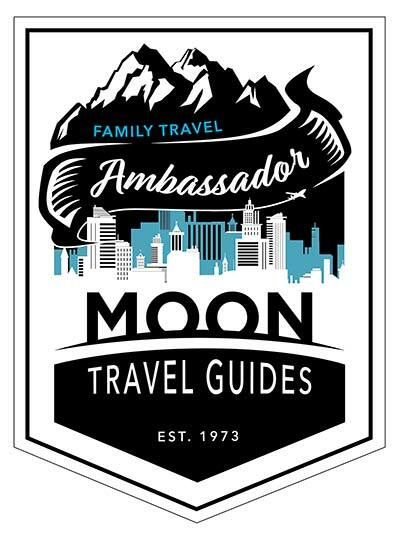 As opposed to a detailed guide, I want to share the things I wish I had known before we went. My notes relate to the Argentine side. Now assuming you already want to go there, here’s what you need to know before visiting Iguazu Falls. Argentine pesos, to be exact, and lots of them. Here are current prices to Iguazu Falls National Park. There is an ATM at the entrance, but have a backup plan to get cash or you will get caught out cashless like we did. It will get you in for half price the next day. Should you do the speedboat ride? This one is a definite maybe. First of all, there’s a strict age limit of twelve. If you have a kid that looks anywhere near twelve, they will want to see a passport to verify age. At thirteen Deal Kid didn’t make the cutoff without ID. You also have to keep in mind the entry- it’s a narrow stone stairway with a sketchy rope for balance. If you have any mobility issues the speedboat ride is not for you. You will also get DRENCHED. Deal Dad did the ride solo and enjoyed it greatly, but didn’t enjoy being soaked to the bone in chilling falls water for the rest of the day. An alternative is the slow-boat ride. We enjoyed it quite a bit, but it’s more like a mangrove tour than feeling like you’re in the falls. I’d call it a “nice to have”. There’s no need to book in advance unless you’re in high season- you’ll save a bit by booking onsite. Chances are you will arrive right at opening. You may be concerned by the crush of flag waving tour guides and the throngs following them. Don’t be. Let them go on the train straight to the top of the falls to see Garganta del Diablo. What you can do instead is take the Sendero Verde (green trail) to the lower trail. If you didn’t visit Garganta del Diablo at all, Iguazu Falls would still be an impressive sight. Working your way through the 275 falls makes the top even more breathtaking. 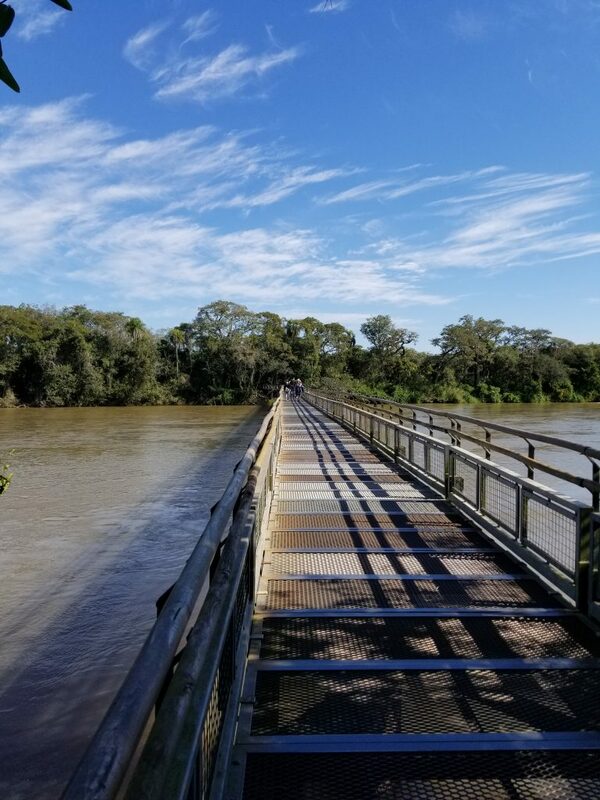 The path to Garganta del Diablo at 3PM, during July Vacation. The next morning it was beyond packed. Once you’re done, cut over to the (formerly Sheraton) Melia hotel for lunch. After lunch you can stroll to the train station and have a much less crowded experience at the top. Avoid eating outside at all costs. I even wouldn’t recommend packing snacks. We had some cookies in our bag that became immediate coati bait. The critters are cute until they start chasing you in a pack. Cute, right? Well, not so cute when this guy and one of his friends dives for your lunch not once, but twice in the same meal! Deal Girl decided her memoir title will be “A monkey stole my mustard”. Catchy, dontcha think? 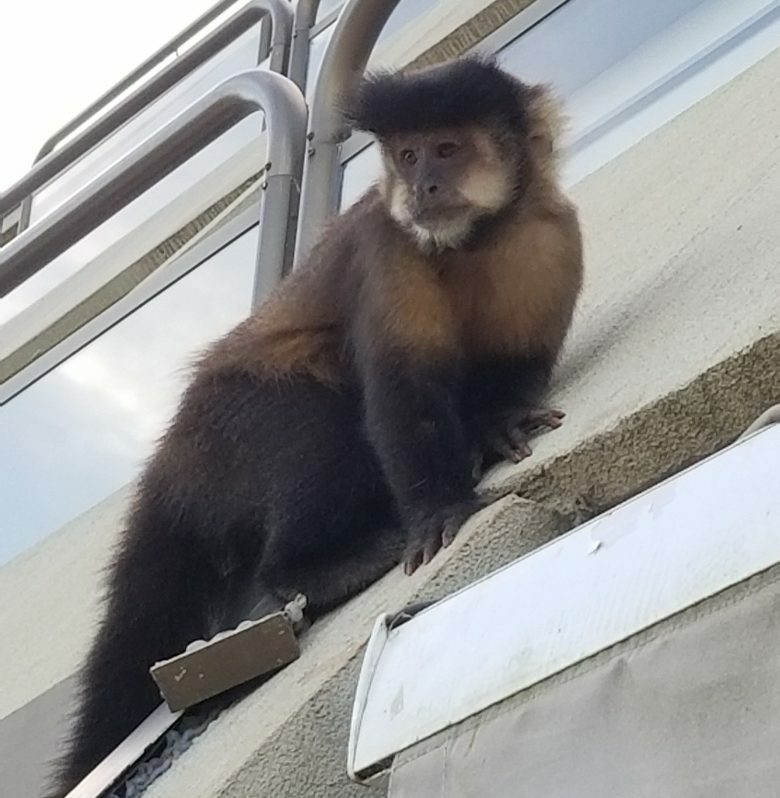 I never thought of monkeys being like pigeons or seagulls, but they got that disruptive. There must have been a dozen hanging on the Sheraton’s (now Melia) balconies- not just the restaurant. In the two hours we were there they stole food- not just from us-broke dishes, chased guests from balconies, and just created havoc. The one place we did enjoy an outside snack was the coffee shop near the entrance. The animals don’t come down that far and the alfajor cookies were fantastic. If you’ve never had an alfajor, imagine a really fancy moon pie. Like most natural parks, you’ll want to keep a firm eye on your kids. If they are at all prone to wandering, be sure to keep a hand on them as well. That said, both the sendero verde and the path to Garganta del Diablo would accommodate a stroller. Falls Iguazu Hotel & Spa fit our needs just about perfectly. I found the highly rated property for just $110 a night. Even better, the room slept four, included breakfast, and they even threw in a one way airport transfer. To be fair, we did spend $30/day on taxis so need to factor that in to the equation. I highly recommend the Falls Iguazu Hotel and Spa. It was a ten minute drive to the falls, the rooms- being new- were well maintained and large, and the setting was quiet and tranquil but still modern enough to have a decent pool cafe and a grownup-friendly lounge for an after-falls glass of Malbec. Oh, and did I mention that massages were $36 for 45 minutes? Not only did Deal Dad and I each get one, we even bought Deal Kid a leg massage after our nine miles at the Falls got to him. The spa equaled most you see at a four star in the states and included an indoor Roman bath that I didn’t expect to find that far out in the wild. We went in July which was just about perfect: low 60s in the afternoon and low 50s early morning. The temperature allowed us to enjoy being outside without withering in the heat. July is also the least rainy month of the year. In a drought year it might affect the falls themselves, but last year the falls certainly didn’t lack for volume. Here’s a handy weather reference. I’m not saying you shouldn’t visit in other seasons, but you will want to be aware of both the heat and the higher chances for rain. Both also bring bugs- you are in the jungle, after all. 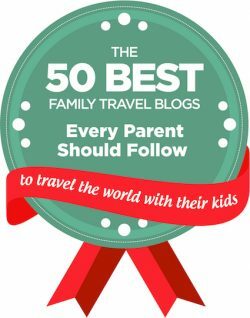 The one thing I want you to leave this post with is a desire to visit Iguazu Falls. While I obsessed over where to stay and what to eat, once we got there I realized it was more important just that we were there. 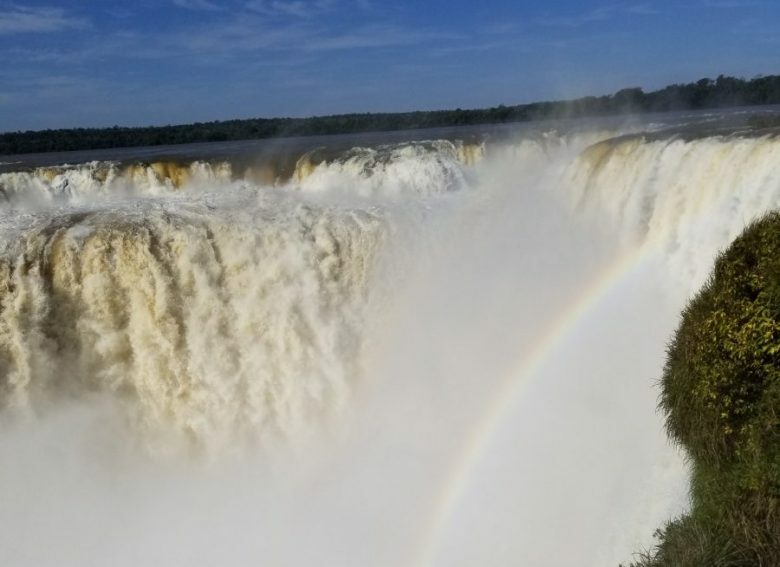 Iguazu is a pain to get to as it requires a flight from Buenos Aires and there isn’t anything to do there besides the falls, but it doesn’t matter. JUST GO. 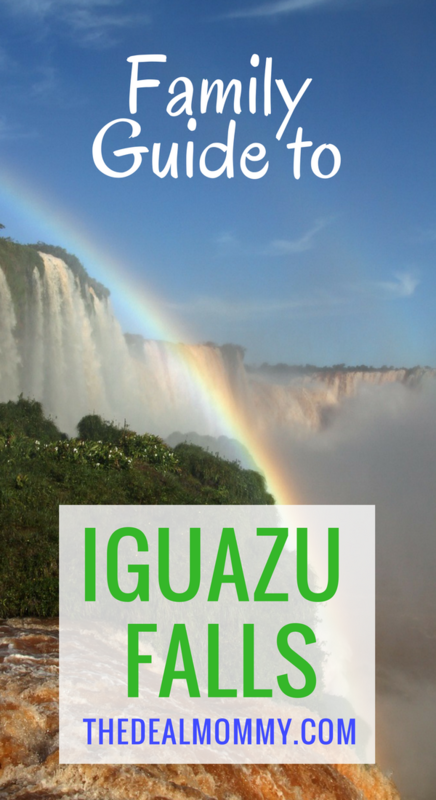 Have you been to Iguazu Falls? Please share your tips in the comments.